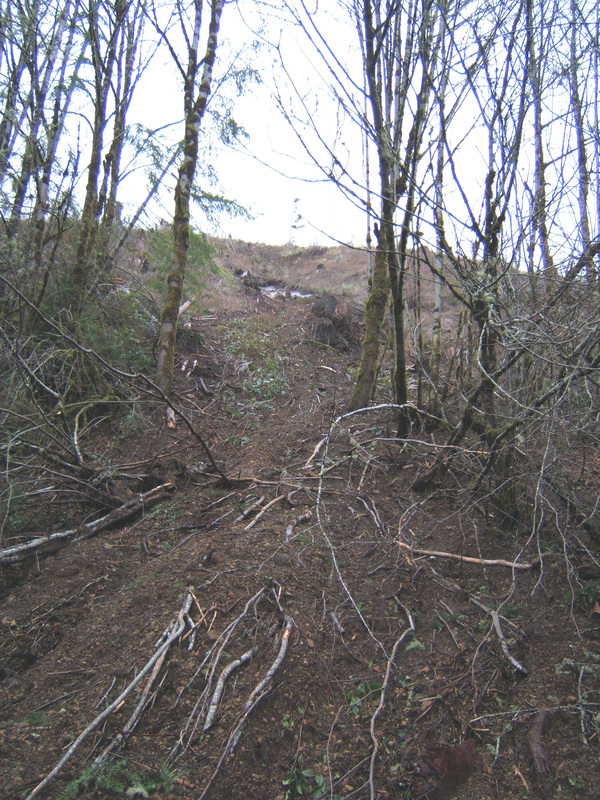 This is one of the more odd landslides to occur this year in Washington State. On April 3rd, at about 2:30am, in the small community of Glendale on south Whidbey Island, residences were evacuated by the fire department. A beaver dam had clogged the Glendale Road culvert, created a pond about 20 acres in size and the torrential rainstorm was continuing to add water behind the dam. Road crews tried to pump out the creek to relieve stress on the road. 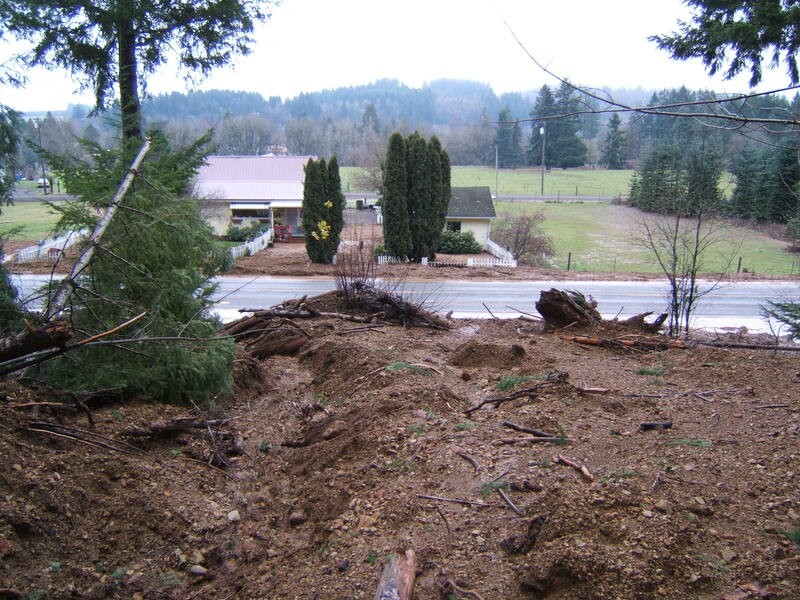 By 7am, the road gave way, washing out a 100-150ft section of the road and sending a torrent of mud, woody debris, and water 6-10 feet high into the community below. 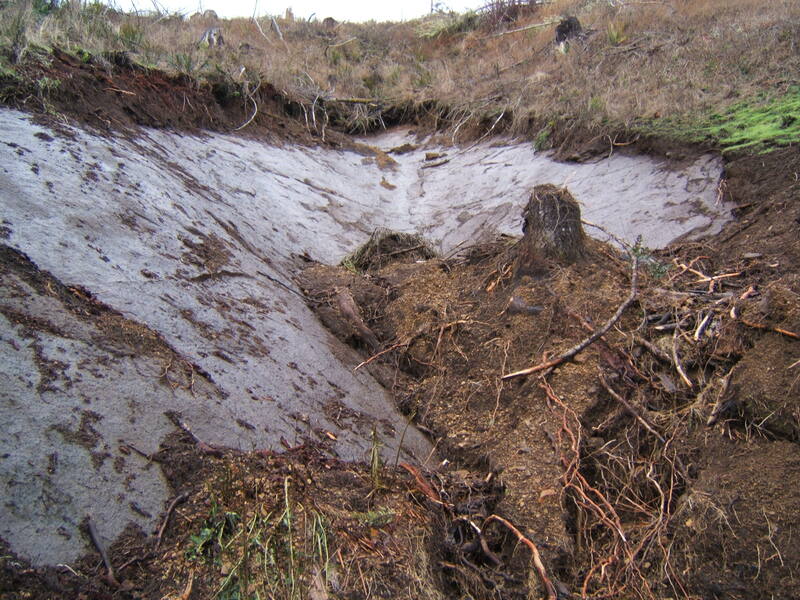 Up to twelve homes were damaged by the dam burst mudflow. The community of Glendale is located at the mouth of Glendale Creek. The area is probably prone to periodic flooding from the creek. 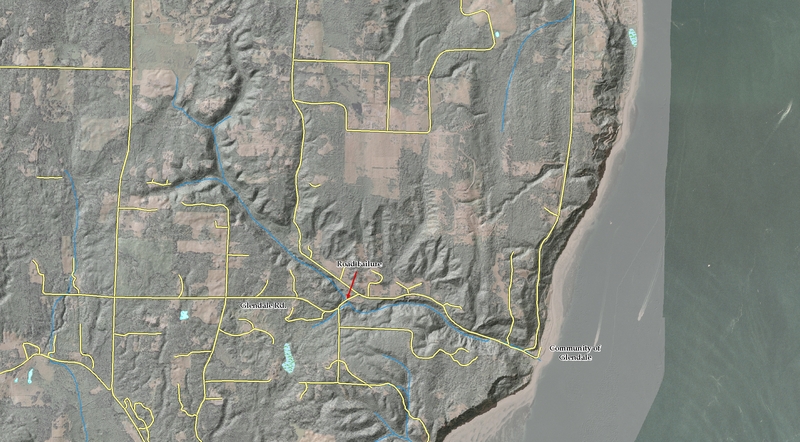 There is a nice deep-seated landslide just south of the community which is clear in the LiDAR image. The dam-burst traveled about 4,700 feet downstream with an elevation drop of about 210 feet, or a slope at about 4%. That is a fairly low slope to move at, so this event must have had a good deal of force behind it. Most of the debris that came into the town appears to be fine grained or large woody debris. Woody debris, though bulky, is fairly light in weight. Any coarser material was probably deposited upstream. Who ever would suspect something so cute and cuddly. 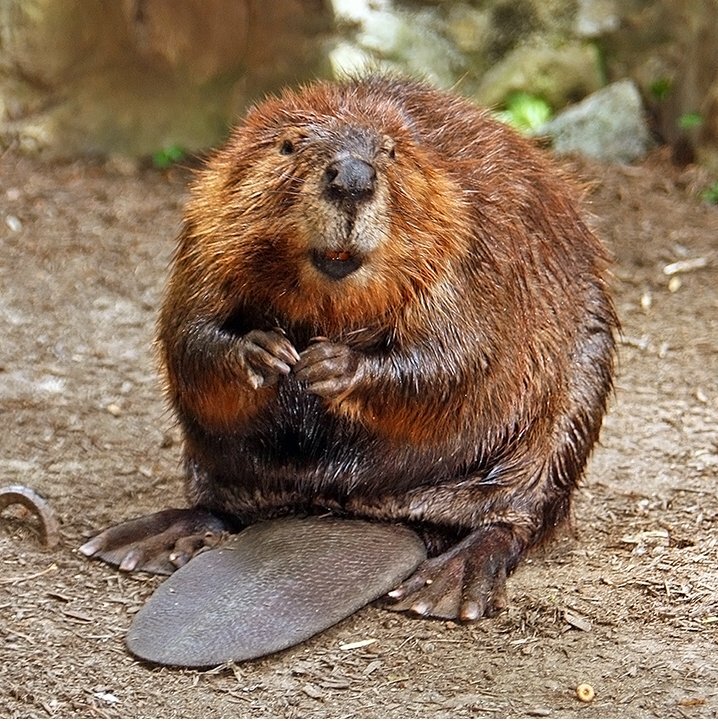 Maybe someone should see if the beavers rebuilt after this disaster.